In this May 4, 2013 police mug provided by the Orange County Corrections Department in Orlando, Fla., shows Ibragim Todashev after his arrest for aggravated battery in Orlando. 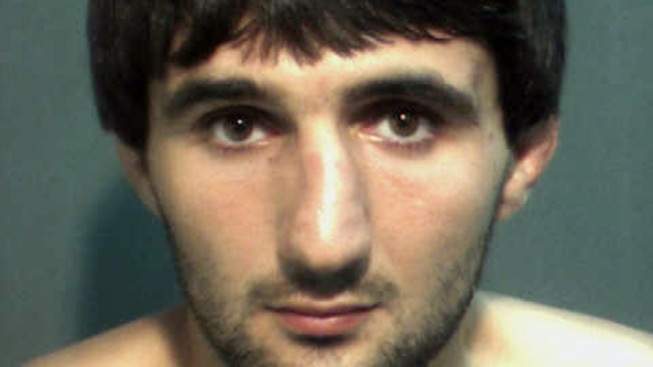 Todashev, who was being questioned in Orlando by authorities in the Boston bombing probe, was fatally shot Wednesday, May 22, 2013 when he initiated a violent confrontation, FBI officials said. FBI Director James Comey says he eagerly awaits release of a report about a witness killed during a meeting with investigators in the probe of the Boston Marathon bombings. Comey told reporters the law enforcement agency's internal review of the shooting of Ibragim Todashev in Florida is complete and will be released, "hopefully, very soon." The Justice Department and local prosecutors in Florida are continuing to investigate. In the aftermath of the Boston Marathon bombings, Todashev told investigators that one of the brothers suspected in the explosions, Tamerlan Tsarnaev, participated in a triple slaying in Waltham, Mass. Three men were found at the scene of the crime with their necks slit and their bodies reportedly covered with marijuana. One victim was a boxer and friend of Tsarnaev.